Wendy has been around Beverly Airport her whole life. When she was 19 years old she worked at the coffee shop which used to be on the West Side of the airport. When her parents took ownership of Beverly Flight Center she began working as a dispatcher. The daughter of the previous owners educated her in managing the finances of the company and she has been acting as manager since 1992. 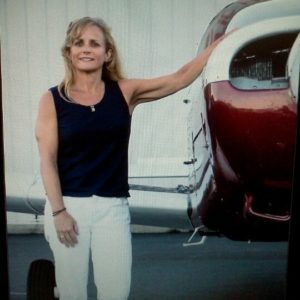 Wendy earned her private pilot license in 1995. Her brother Gary is a pilot for a major airline and her other brother Dale sells aircraft parts for Ametek. She enjoys spending time with her twin sons and also enjoys flying, skiing, working out, and…during the summer…relaxing by the pool.